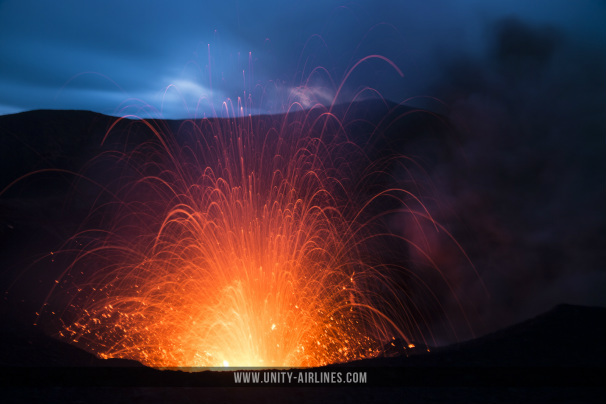 Tanna Island, to the South of Efate (the main island of Vanuatu) is sometimes referred to as the Island of Fire, so called for its most awesome feature, Mt Yasur, the most accessible, active volcano in the world. This ancient volcano is conspicuously located in one of the most pristine, unspoilt corners of the globe. The Island of Tanna is itself a beautiful, natural paradise with so much to see and do. As such, Tanna is a favourite destination for volcanologists, adventure travellers and tourists the world over. In the local native dialect, Yasur means 'Old Man'. This Vanuatu volcano is 361 meters above sea level. The crater itself is 300 meters wide and 100 meters deep. You can be driven to within 150 meters of the craters edge and even walk around the entire perimeter. Evening tours enable you to see the volcano during daylight and then the magnificent displays of molten magma in darkness. Visiting Mount Yasur is a 'once in a lifetime' experience. This is your opportunity to watch nature at work. Enjoy the magnificent fireworks display as you listen to the deep groans and roars coming from within. See and hear explosions of rock and ash thrown high into the sky and then thud back into the crater. Feel the earth tremble beneath your feet. Our Twilight Volcano Tour departs Port Vila airport at approx. 10.00 am and arrives back in Port Vila at 7.40 pm. 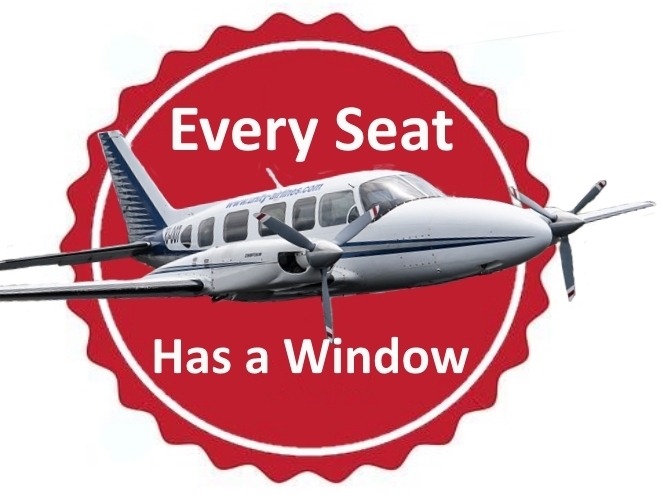 This scenic one-hour flight to Tanna takes in the spectacular views of Port Vila Harbour, South Efate, Erromango and its beautiful coastline (weather permitting). Arrival time in Tanna is 11.00 am. On the approach to White Grass Airport, you will have a great view of the magnificent landscape of Tanna Island. You will be met by friendly 4WD Safari Staff and taken to Tanna Evergreen Resort for refreshments. At approx 12.00 pm the first tour, the Volcano Tour begins. You will travel in a 4WD across the island, passing local custom villages, dense native bush, stunning views and passing over volcanic ash plains as you approach Yasur Volcano. At approximately 1.30 pm you will be reaching the top of the summit. From the parking area you will have a 10 minute uphill walk to the rim of the crater, where you will experience the awesome power of one of the world's most accessible, active volcanoes. After the volcano you’ll go back to the resort for refreshments, and a chance to freshen up. Before last light, you will be back in the plane for your second tour of the day and take a scenic flight over glowing Mt. Yasur, before heading back and enjoying the twilight views of Port Vila. Arrival time back in Vila is 6.30 pm - 7.30 pm, depending on the time of year. We’re the only tour operator in Vanuatu that can offer you this tour. Don't forget to take your camera with you! 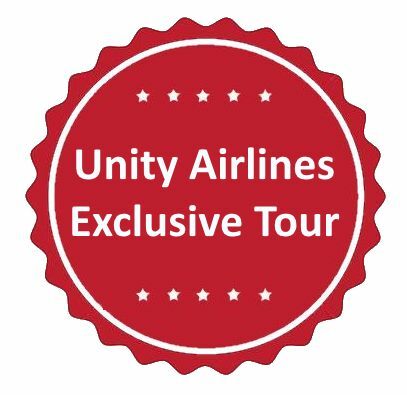 Price includes return airfare, refreshments, volcano entrance fee, the volcano tour, airport transfers, landing fees, as well as pick-up and return to your resort in Port Vila (metropolitan area only). 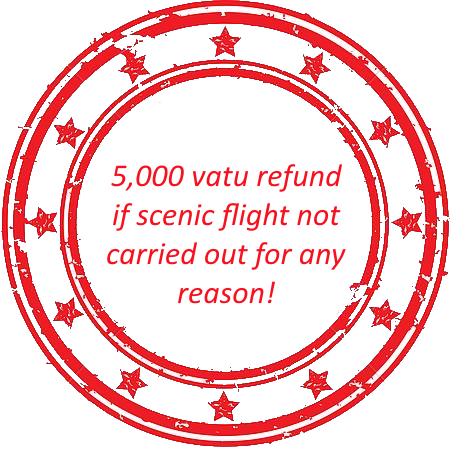 There is an additional 200 Vatu Airport Departure Tax payable at each airport - as ATMs are not available on Tanna Island, please ensure you carry cash for this tax and any purchases. Flights fill up fast so early booking is recommended!